Did you know that you can set yourself a goal of swimming 1 million metres, and receive an award? 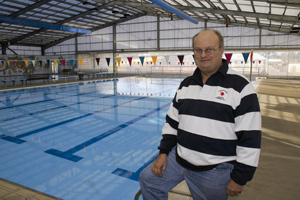 Our Bushranger and second claimer Viking, Roger Deitrich did just that at the end of 2009 when he joined Masters Swimming Australia after a 30 year break from swimming, setting his goal of 1 million metres and is now well on his way to achieving his goal, having notched up 700,000 metres to date, as well as breaking some club records along the way! Roger also recently featured in an article in his local newspaper, the Junee Southern Cross. Great stuff Roger – and great publicity for Masters Swimming! As you swim, record your distances covered in training and races using the Manual Million Metres recording cards which are available from your coaches at training or during Endurance swim sessions. You can also use the Million Metres Recording Spreadsheet version to record your progress.. Upon successful completion of 1 million, 2 million, 3 million, 5 million, 7 million, and 10 million metres, members are awarded by Masters Swimming. So, why not join Roger and many more of our club members in the million metres goal. The results of last year’s Aerobics program have recently been published and our aerobics swimmers are to be congratulated on an excellent effort. 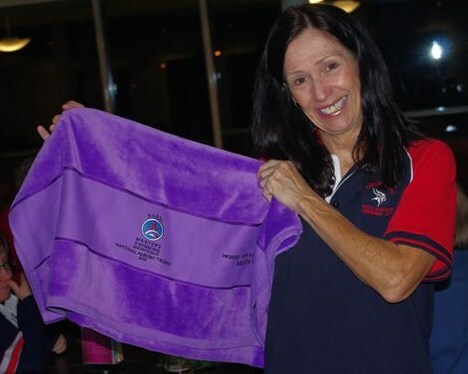 After trailing Campbelltown for the last two years, we finally managed to narrowly topple them and gain first place in NSW Masters Swimming Branch. Novocastrians gained third place in a field of twenty clubs. Congratulations to all our swimmers who participated but particularly to those who completed the entire program, many with maximum points. Brenda Day, Lily Gilroy, Pam Munday, Ann Reid, David Bale and Adrian Davis gained maximum points and Kristen Leydon and Andrea Teunissen who also completed the program. All of these swimmers received a monogramed towel from NSW branch as reward for a great achievement. The full results can be found on the Masters Swimming NSW website. To add to our victory at NSW branch level, the mighty Vikings achieved 2nd place nationally in the National 2011 Aerobics Trophy - well done to all those who helped us achieve this terrific result! Even though we gained first place for total points awarded, we only gained seventh place for club participation. The Aerobics program has been replaced with the Endurance 1000 program and it is no longer necessary for swimmers to complete all 400m and 800m swims before points are awarded. Now all swims gain points. It would be a fine achievement if we could increase our participation rate and improve on our seventh position. Everyone is welcome to participate and it is a good way of increasing your fitness. 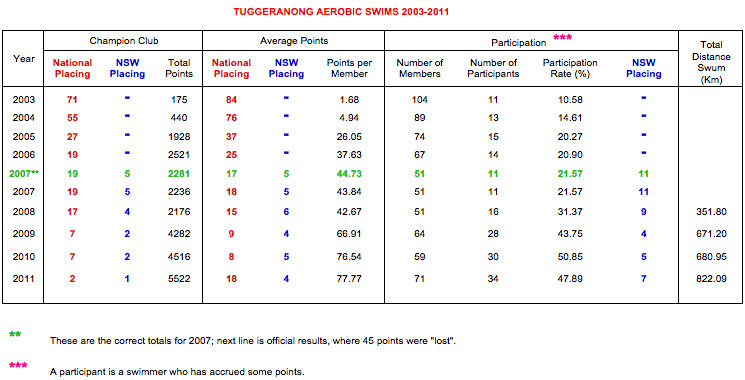 The 2010 aerobics results are now on the Masters Swimming Australia website and we should be very proud of our results. We placed 7th Nationally out of 73 clubs and 2nd in NSW for Total Points Gained and placed 8th Nationally and 5th in NSW for Average Points per Swimmer. Our Club Participation rate of 48.28% placed us 14th Nationally and 5th in NSW. We finished the year with a total of 4516 points, our highest ever score. Our total distance was 681 Km, which took us almost to Jugiong on our swim up the river from Mildura. This is a wonderful achievement. Well done to all who participated in the aerobics programme last year and special thanks to Jane Lindsay who did a marvellous job in co-ordinating this programme. However, we cannot rest on our laurels. We now have a benchmark that we need to at least maintain. Surely we can better our participation rate! If you haven’t tried aerobic swimming yet it’s not too late to start. You don’t need to be fast, you just need to complete the distance. You might even win a towel.